It’s been four years since I was working at the Pittsburgh Post-Gazette as an Alfred Friendly Fellow. The experience improved my professional skills in many ways. After I came back to Yemen, I continued working as a journalist before I worked in communications with a couple of national and international NGOs in Yemen. 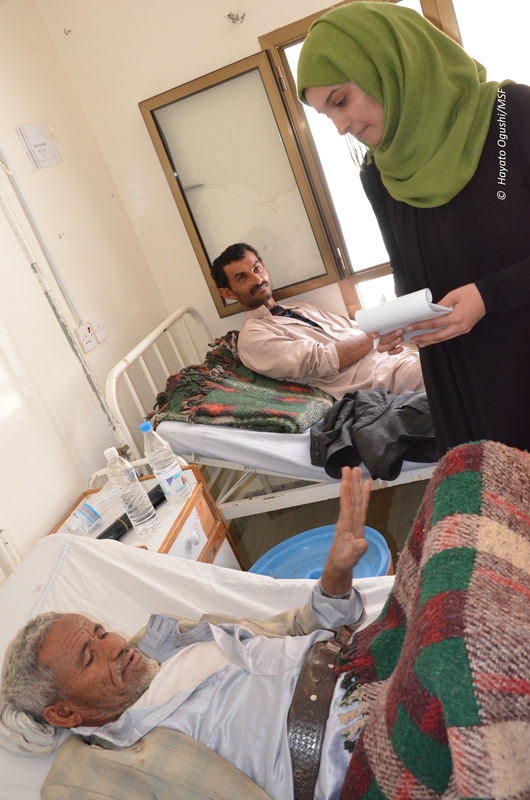 It’s been two years and a half since I joined MSF/Doctors Without Borders in Yemen. MSF is an international independent medical organization that operates in more than 70 countries. In Yemen, it operates in eight of the 21 governorates. I am the field communications officer here. Well, the locals here call me “the MSF journalist” as they see me taking pictures and interviewing doctors, patients and people. You must have heard about the deteriorating security and humanitarian situation in Yemen after internal battles were followed by Saudi coalition airstrikes. The coalition airstrikes started in late March after Yemeni President Rabbuh Mansur Hadi went to Saudi Arabia asking for military support to force the Houthis to withdraw from the cities they have controlled by force. The Houthis are a group of armed Shiite Yemenis from Sa’ada governorate who rebelled against the Yemeni government in 2004. Several wars have been fought between them and the state. After controlling Sa’ada, the closest Yemeni governorate to Saudi Arabia, in 2011, Houthis started advancing to the south. In the south, there is ground fighting between Houthis and an ex-president forces from one hand and other groups allied to Hadi from the other hand. Saudi Arabia sought the support of other countries to help force the Houthis to withdraw. Since March 26 and into the summer, the airstrikes have been targeting Houthi locations and houses of Houthi leaders all over the country. In return, Houthis are sending missiles into Saudi Arabia. It’s worth mentioning that people believe that the Houthis are supported by Iran, although both they and Iran are denying this. Almost three months since the beginning of the war, nothing has been achieved by any of the parties except for ruining the lives of civilians. The ground fighting between several armed groups in Yemen and the airstrikes have made normal life for thousands of civilians impossible. Hundreds of people have been injured; others have lost their homes, jobs, relatives, or their own lives. 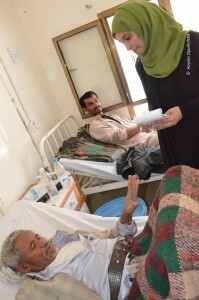 People cannot access health facilities, patients with chronic diseases cannot get their medication as pharmacies have run out of drugs due to the embargo imposed on Yemen. Women deliver babies at home with unskilled attendants. Prices for food, water and other commodities have increased due to the shortage of fuel caused by the embargo. Many schools have closed. Thousands of Yemenis have lost their jobs and thousands have not received their salaries since March as banks are closed in the areas where the ground fighting is intense. Life has stopped in many places and contagious diseases have started to spread. 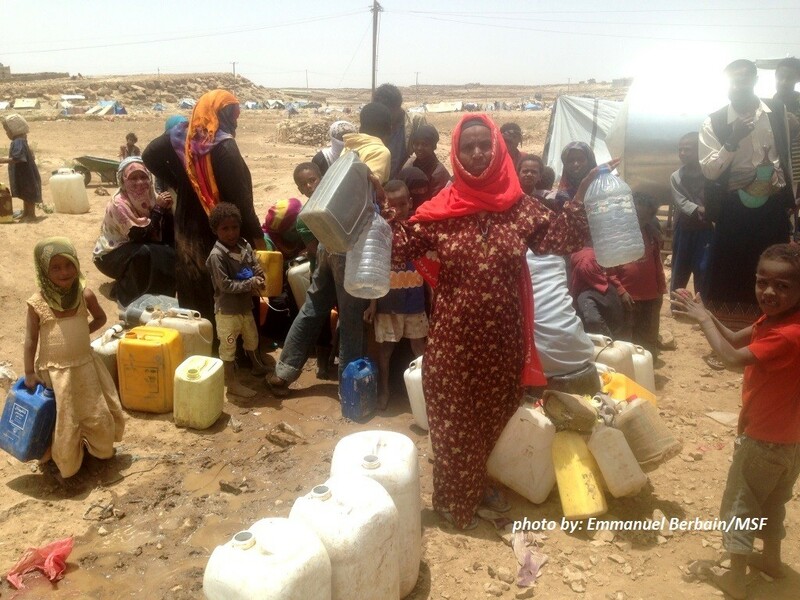 We, the Yemenis do not know when is this going to end. So, this is the situation in Yemen. As I mentioned in the beginning of this dispatch, I work as a communications officer with MSF. I write stories about patients, staff and other people and about the medical aid the organization is providing. 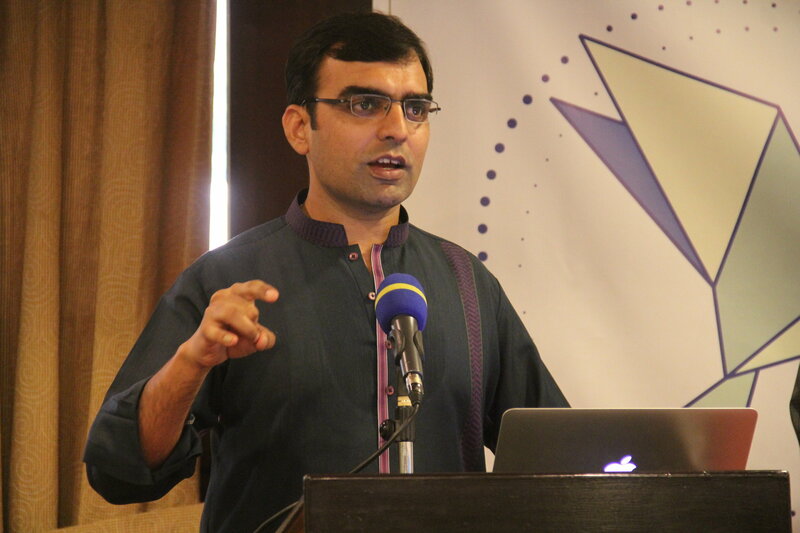 I reply to journalists, manage media interviews with our spokespeople, and send updates to the media about the situation and the organization’s activities in the areas where we have operations. Yet, there is another kind of war, which is the media war. MSF has been manipulated many times by several media outlets allying with the different parties who are at war. Many media outlets contact MSF and ask questions just to show the other party is wrong. The majority of the media in Yemen is biased and affiliated to political parties and those at war with each other. Some journalists try to use MSF as a tool to accuse the other party of violating humanitarian laws. The media allied to the Houthis, for instance, only refer to the number of injured who fell due to the coalition airstrikes. Similarly, the coalition-supported media only focus on the areas where civilians were badly affected by the ground fights between Houthis and the southern fighters. You can hardly find any neutral local media in Yemen. The full picture is missing most of the time and very few journalists are presenting the fact that the civilians, wherever they exist in Yemen, are the real victims of all this violence. When MSF is manipulated or when wrong news about MSF is spread, we call the journalist to clarify the news reports, share the clarification with all the media and share this through MSF’s social media channels as well. But we are still manipulated by journalists and social media activists who only use one part of the story. Yet as an independent medical organization, MSF treats patients, regardless of their backgrounds, according to medical ethics. International media that are not linked to any of the groups in conflict, or supported by Iran, Russia, Saudi Arabia or other Gulf Cooperation Council countries, are normally not biased and more professional. They usually try to find a way to provide the full picture. Yet, the embargo prevents many of them from coming into the country. Tens of journalists have contacted us to inform us they are doing their best to come into the country to report about the situation and MSF activities. There have been very few journalists who managed to make it to Yemen as of the end of June. 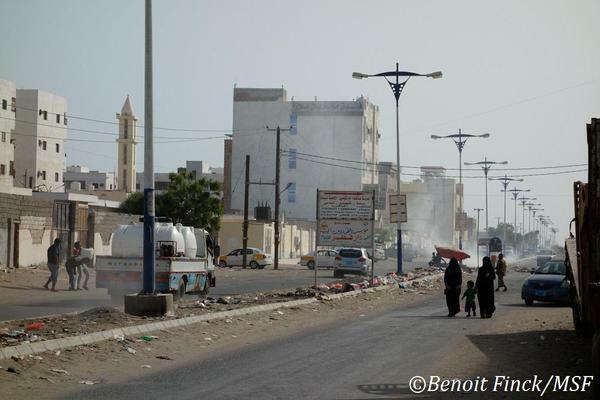 Those who arrive to Aden by boat from Djibouti cannot go to the north because the roads are blocked by the fighting. And those who can make it to the north by boat or plane cannot go to the south for the same reason. I am now in Amran governorate, north of the Yemeni capital Sana’a. MSF supports a hospital here with doctors, surgeons, midwives, medications and a referral system. We also have mobile clinics providing general consultations for IDPs who have fled their homes fearing the fighting or the airstrikes. The people here lack food and proper shelter. 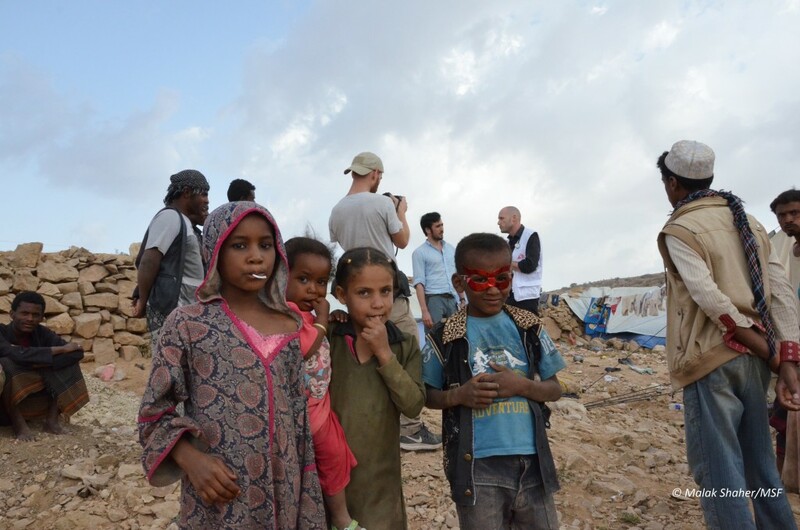 A few days ago, Matthieu Aikins and Sebastiano Tomada, a reporter and a photographer working with the Rolling Stone, visited Sa’ada and Amran and interviewed MSF staff & patients to get to know our medical activities and to see the situation of the IDPs. Malak Shaher is a 2011 Alfred Friendly Press Fellow from Yemen who was assigned to the Pittsburgh Post-Gazette between April 2011 and August 2011.